Other companies may offer one or two services, and then “out-source” the rest. At SMT, we do our own work, stand behind our own work and walk with our customers through every stage of engineering, fabrication, production, painting, coating, packing and delivery. 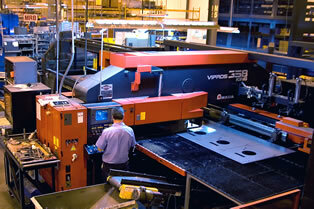 From start to finish, SMT can handle all of your sheet metal fabrication needs. Our state of the art facility, along with our highly trained and motivated staff can handle all of your projects, large or small. We shear, fabricate, form, machine, weld, finish (wet and powder coat) and assemble complete enclosures. We produce cabinets, frames and lighting fixtures for the computer, electronics, telecommunications and electrical distribution industries. We schedule and track all of your jobs in real time with our fully integrated ERP system. We guarantee you low lead time and reliable operation completion. SMT is proud to announce that our state-of-the-art, high efficiency paint line is now fully operational. SMT partnered with Nordson Corporation to install the all new powder booth. The new booth has increased our high quality powder coating capacity while greatly reducing wasted powder. See photos of the new booth on the Custom Wet & Powder Paint page. 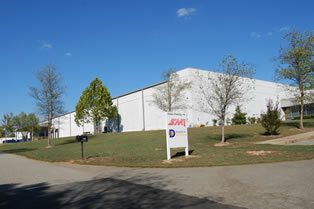 SMT Inc. has been in business for over 40 years. We are also a woman owned and operated enterprise.